The Last Heist comes to us courtesy of Director Mike Mendez (Tales of Halloween segment Friday the 31st) and writer Guy Stevenson (MadTV). Centering on a bank heist that does not go according to plan due to the unexpected presence of a serial killer, it’s a simple, yet fun, set up. So, what went wrong? Can we begin with the seemingly overnight proliferation of Henry Rollins in horror films lately? 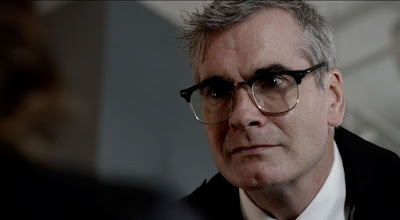 As a lady of a certain age, to me, Mr. Rollins is the the Black Flag frontman that I do not prefer, but recently, he keeps popping up in my horror movies and at Ru Paul’s Drag Con. I’m neither here nor there about his new career trajectory;just felt like addressing it. Overall, he does a fine job of playing The Windows Killer. A serial killer who removes people’s eyes, he has come to the bank to remove past trophy’s from his safety deposit box at the same time that a group of mildly accomplished criminals come to get their own trophy from the vault. Lead by Paul (Torrance Coombs), this group of bank robbers enters the bank with an air of authority and organization, but it quickly becomes apparent that the mix of personalities among them will be their undoing. Ultimately, we will learn that Paul has a military background and his brother happens to be among the hostages in the bank. Both of these revelations will lead to bigger, more interesting plot developments, but until then, we must endure the rest of his gang. Complete with a legitimately badass lady, a lady who only thinks she’s a badass, a tough guy and a guy who thinks he’s tough, they are all systematically taken out by The Windows Killer. Meanwhile, we’ve got our token tough talking female LAPD detective called to the scene to check out what is, originally, called in as a prank. Because she’s a smart cookie, she can see through this and pretty soon we’ve got a whole slew of people fighting over who is going into the bank first and who’s suspect is more important. At this point, you’re asking yourself, “But where are the bumbling rookie cops who try to save the day all by themselves?” Don’t worry. They’re here as well. And that’s the problem. Basically, The Last Heist plays a lot like an episode of CSI and that is not necessarily a bad thing. It’s the times where it tries to elevate itself to something more than a souped up episode of tv that it loses it’s footing. This is especially disappointing when moments of suspense are ruined by stretching the scene out too long or utilize some seriously dubious editing choices. Mendez and Stevenson both have a large history working in television and doing shorts and that is painfully obvious at times. Don’t get me wrong, I LOVE television and, quite frankly, Mendez’s contribution to Tales of Halloween was one of my favorites. Unfortunately, the moments when The Last Heist flails is when it feels as though the filmmakers are unsure how to bridge scenes and narratives together in a satisfying, non clunky way. 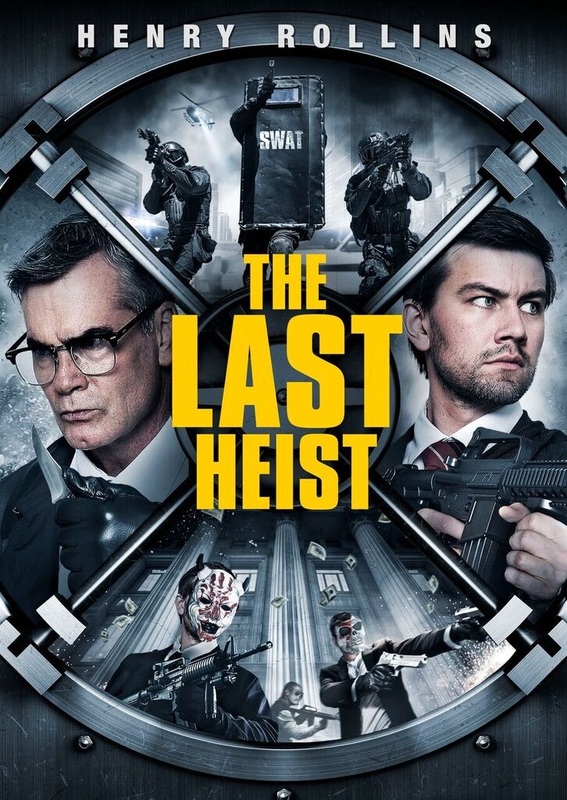 THE LAST HEIST in Theaters, VOD and iTunes on June 17th.